His response was quick and strong. TNX for the call, OB, he sent. It’s Gordon here in Miami and you’re a fine 579 tonight. So HW copy? I proceeded to share the typical contact rudiments … RST, name and QTH, and then sent “Age Hr is 65 so back to you Gordon” hoping that his next exchange might be a bit more revealing … and was it ever. FB OC, he sent, AGE HR is 92 92 and been a ham since 37 37. If there’s one thing that Amateur Radio has taught me over the years, it’s respect for my elders. As a fresh faced 12 year-old, brand new to the hobby myself, everyone I met back then was my elder. But the vast difference in age quickly melted away with talk of CW, antennas, rigs and Field Day, and I was humbled by the kindness these old men showed a kid just starting out. And I have never forgotten that. And then Gordon proceeded to share his life with me. At first he spoke of a recent stroke from which he was recovering, and then he mentioned having fallen and broken his leg. He had been doing exercises dutifully each day. he said, and was improving, now getting about with a cane. How he longed to return to yard work, he remarked. And then, almost like magic, he was a kid himself, just out of High School. It was 1940 and he had enlisted in the Navy. 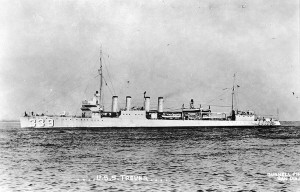 They made him a Radioman since he already knew the code, and sent him to a 4-piper, as he called it, to begin his service aboard the USS Trever. And that fateful December 7th of 1941 found him on duty aboard the Trever in port at Pearl Harbor. We didn’t attract much attention, he said, being smaller, but we fought back. 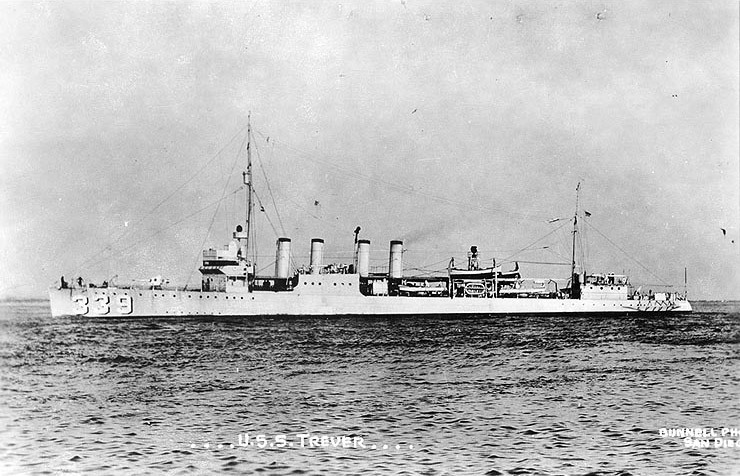 I read after the fact that the Trever was responsible for downing 2 Japanese fighters and quickly steamed into action with a Captain from another vessel, as their own captain was unable to reach them. And the conversation stretched to over an hour as Gordon told of his exploits during the war, and he did so as adroitly as he might have done back then, the ravages of time having no apparent effect on his beautiful keying. And my heart swelled with admiration after each exchange. And finally I noticed a few extra dits and some uneven dahs, and Gordon was back to modern day. He doesn’t have the strength and stamina he once had, he said, and we proceeded to wrap up our visit. I begged for a QSL to remember this wonderful contact, and he said why sure! He hadn’t been on the air much since his fall, and his cards didn’t arrive like they used to, so he welcomed mine. I thanked him again for his service and wished him health and happiness until the next time we met, knowing that the day might never arrive. And I sat for a long while after the final dits in contemplation of our QSO, the joy of our wonderful hobby, and the magic of Morse that brought a young Radioman back to vigor that night. Previous PostCould this be a first in Amateur Radio?Next PostI finally cleaned that big bottom drawer, and magic ensued!